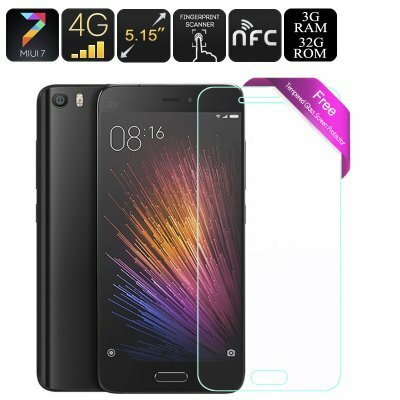 Successfully Added Xiaomi Mi5 Smartphone - 5.15 Inch Screen, Qualcomm Snapdragon 820, 3GB RAM, 4G, Dual SIM, 16MP Camera, 3000mAh Battery (Black) to your Shopping Cart. 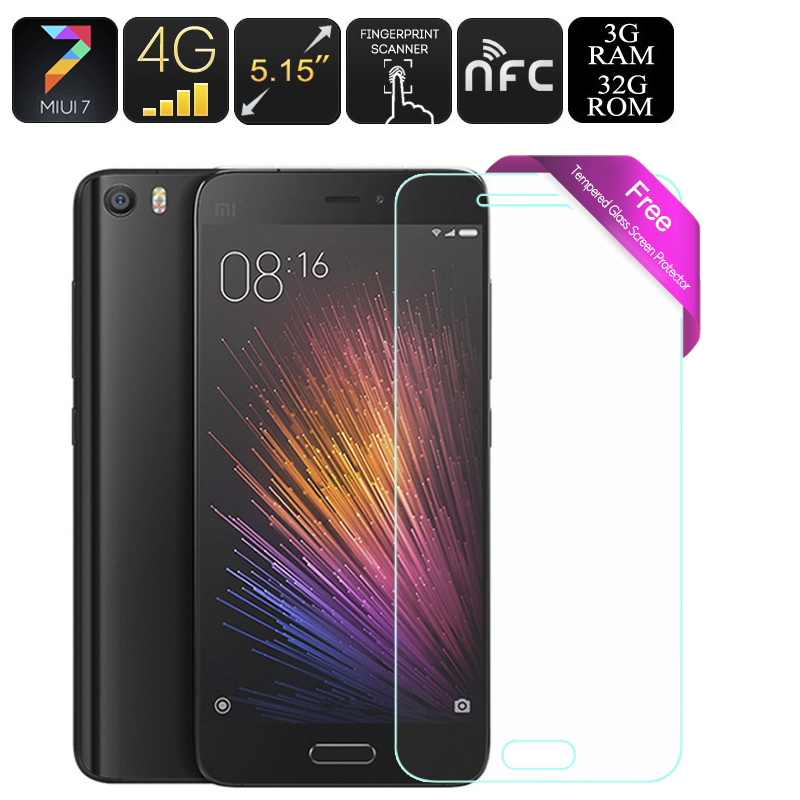 Xiaomi's premier phone the Mi5 is a truly exceptional device and despite its name has no relation to the secret service, despite boasting an eye popping array of sensors and with some seriously powerful components. Boasting a crazy fast Qualcomm Snapdragon 820 CPU with 3GB of RAM and the stellar Adreno 530 GPU this Smartphone dominates when it comes to benchmark tests and is certainly capable of running any software you're ever likely going to need. Despite packing in more than just about any other phone we have ever seen, the Xiaomi Mi 5 is a slim light phone that's more compact that its Apple and Samsung competitors at just under 130 grams. With a truly gorgeous design incorporating metal and glass the phone looks phenomenally beautiful and is a real head turner. Connectivity is also high up there as the Mi 5 Smartphone has two SIM slots and can connect to a vast swathes of bandwidths making it suitable for use in most corners of the globe. Running on the Xiaomi customized version of Android Marshmallow known as MIUI V7 you get a uniquely designed yet carefully carted interface that is intuitive and easy to interact with. With a 5.15 inch screen that offers 428 pixels per inch this Smartphone brings some of the best viewing you can get so enjoying full HD video is easily done. the phone also reportedly supports 4K video files so you can watch the best content available right in the palm of your hand. When combined with the 4G high speed downloads you can enjoy all the latest sports and TV programs without missing out any detail.